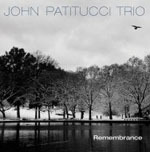 Grammy-winning bassist John Patitucci's trio recording Remembrance, a heartfelt ode to his heroes and mentors, is the realization of a longstanding dream. 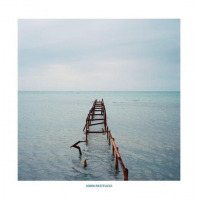 Featuring saxophonist Joe Lovano and drummer Brian Blade, this stripped-down trio originally recorded as a quartet with pianist Brad Mehldau on Patitucci's Communion (Concord, 2001). The seeds for this date were sown when an unplanned piano-less rehearsal for the Communion sessions revealed the trio's affinity. 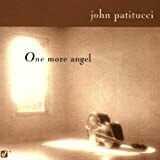 Containing all original tunes, Remembrance is Patitucci's seventh recording for Concord and his thirteenth as a leader. Conveying the affable mood of a relaxed blowing session, the trio expounds on a wide variety of styles and genres. Lovano's breathy cadences, Patitucci's percolating phrases and Blade's crisp rhythms conspire in an intimate, three-way conversation that veers from elegiac to ebullient. An in-demand session player, Patitucci has performed with heavyweights like Michael Brecker, Chick Corea, Jack DeJohnette, Herbie Hancock and Wayne Shorter. 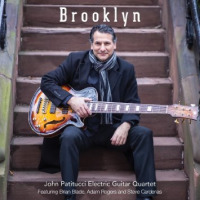 A quicksilver virtuoso on both acoustic and electric bass, Patitucci's effusive statements command considerable attention in this spare setting, yet eschew unnecessary pyrotechnics in favor of a conversational demeanor that allows ample space for his sidemen. Blade and Patitucci's deep-seated rapport can be traced to their membership in Wayne Shorter's longstanding quartet. A tasteful, unobtrusive percussionist, Blade's nuanced accents and complementary interpolations unify the trio's cogent interplay. Lovano's celebrated inside-outside approach combines harmonic sophistication with a subtle, expressive technique, augmenting Patitucci's melodious themes with adventurous lyricism. Many of the tunes are dedicated to jazz royalty, including Ray Brown, John Coltrane, Joe Henderson, Freddie Hubbard, Thelonious Monk and Sonny Rollins. Though most of the honorees have passed on, the prevailing mood is celebratory and full of lyrical invention, ranging from luminous ballads ("Sonny Side," "Play Ball") and vibrant swingers ("Blues for Freddie," "Joe Hen") to labyrinthine excursions ("Monk/Trane," "Meditations"). Adopting a funkier approach, "Mali" invokes the uplifting rhythms and pungent timbres of Ali Farka Toure, recalling the Malian guitarist's cross-over album Talking Timbuktu (Ryko, 1994), which featured Patitucci. The trio explores similar territory on the throbbing, polyphonic funk of "Messaien's Gumbo," and modal impressionism on the evocative tone poems "Meditations" and "Safari." Demonstrating remarkable dynamic range, "Scenes from an Opera," features a neo-classical arrangement of serpentine alto clarinet, rubato percussion and an octet of overdubbed contrabass and celloan uncharacteristic, but intriguing piece. 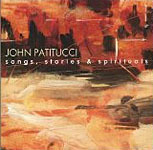 The bittersweet title track is equally austere; Patitucci's overdubbed solo electric bass meditation for the late Michael Brecker closes the album on an introspective note. Mindful of the past, but not beholden by it, Remembrance is a sterling trio record, bolstered by the exceptional group interplay of three contemporary masters. Track Listing: Monk/Trane; Messaien's Gumbo; Sonny Side; Meditations; Mali; Scenes From An Opera; Blues For Freddie; Safari; Joe Hen; Play Ball; Remembrance. Personnel: Joe Lovano: tenor saxophone, bass clarinet; John Patitucci: double-bass, six-string electric bass, six-string electric piccolo bass; Brian Blade: drums; Sachi Patitucci: cello (6); Rogerio Boccato: percussion (5).